A tropical storm that didn’t exist, disappearing float plans, and an emergency beacon that wasn’t activated. 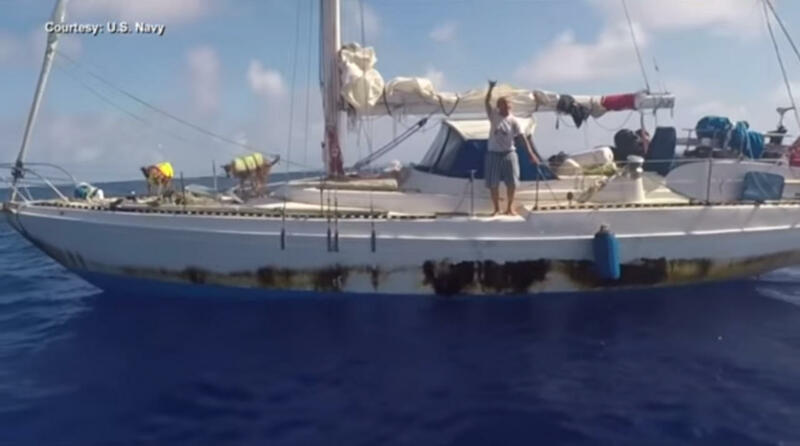 These are just some of the inconsistencies brought to light following the rescue of two Hawai’i women. 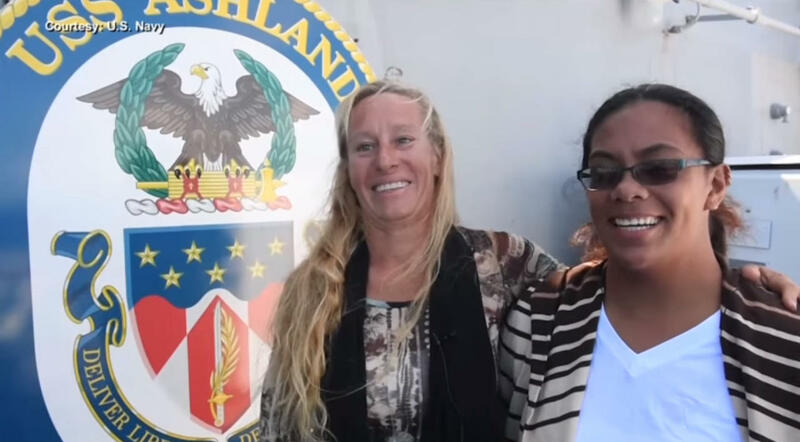 Jennifer Appel and Tasha Fuiava and their dogs were picked up last week by the U.S. Navy about 900 miles southeast of Japan. Here’s Appel in an interview aboard the USS Ashland days after her rescue. "When we saw you guys coming over the horizon, it was like 'Oh God, we’ve been saved,'" says Appel, "It was the most amazing feeling because we honestly did not believe we would survive another 24 hours in the current situation." The women reported their 50-foot vessel the Sea Nymph lost its engine and sustained damage to the rigging and mast. All of their communication devices were dead. It wasn’t until a Taiwanese fishing vessel spotted them that they were able to make the distress call. And that’s when the U.S. Coast Guard got involved. They began asking questions, which Coast Guard spokeswoman Tara Molle says is standard protocol in search and rescue operations. 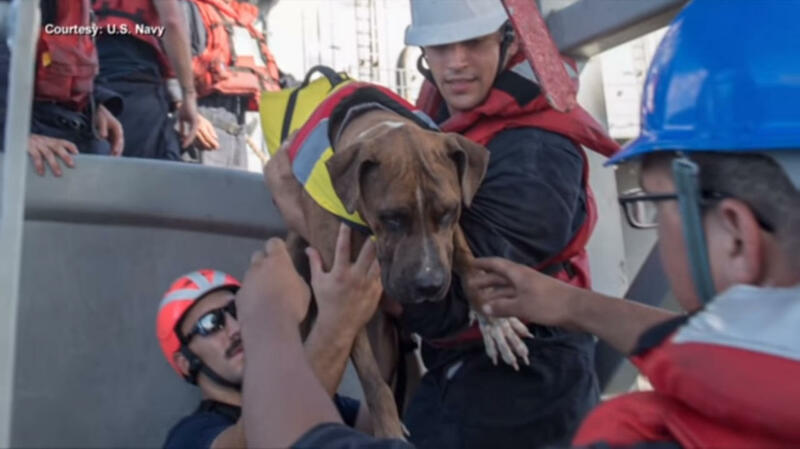 "So a survivor debrief is something that the Coast Guard does after a search and rescue case," says Molle, "So we would want to speak with the survivors to make sure that we kind of connect the dots in that kind of situation." And the dots thus far are not connecting. In the debriefing, Appel insisted they were hit by a tropical storm with 30-foot waves and near hurricane-force winds the night they set sail. NASA satellite images and the National Weather Service reports no storms in the region around May 3, when the two women said they set sail from Hawaiʻi for Tahiti. 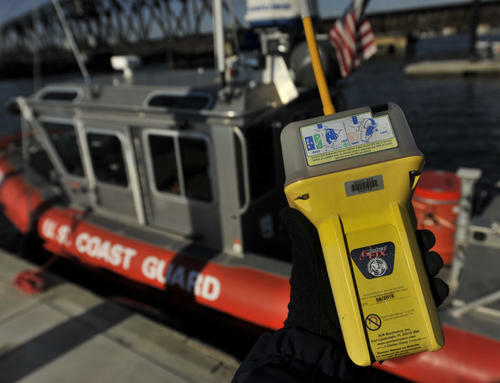 When activated, an Emergency Position-Indicating Radio Beacon or EPIRB for short, sends an electronic signal that will notify the Coast Guard of a distress situation. The two Hawai'i women had such a device on board the Sea Nymph but chose not to activate it. Then there’s the account of float plans listing their course, which they first said they filed with friends and relatives. 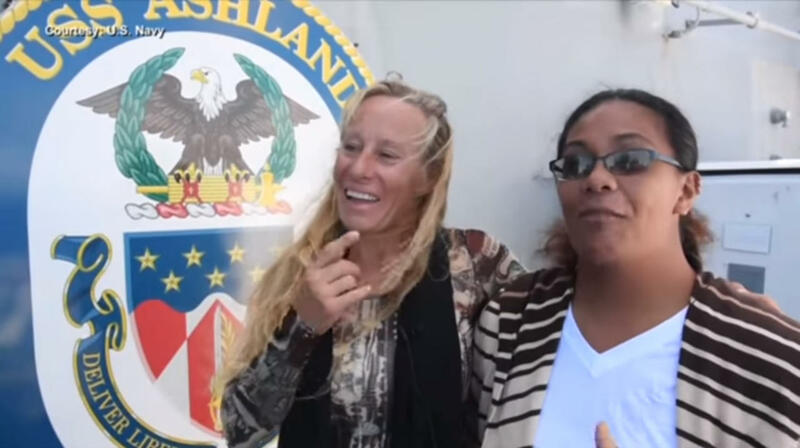 Later, in an interview with the Coast Guard, the women said they filed no float plans. And then there’s the emergency beacon they had on board. This device, once activated, could have sent a rescue crew their way within a matter of minutes. Instead, the pair said they had been flagging vessels and sending distress signals for at least 98 days before being rescued. But could the inconsistencies lead to a criminal investigation? 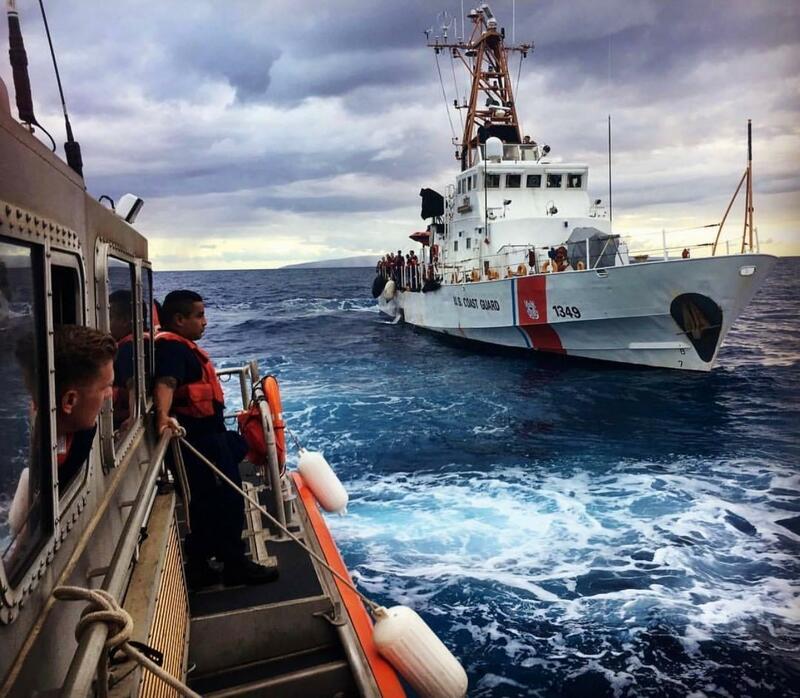 U.S. Coast Guard Station Maui is conducting evening operations with U.S. Coast Guard Cutter Galveston Island. "No, we are not conducting a criminal investigation," says Molle, "We will need to do more of a survivor debrief. We’ve only been able to speak with them minimally cause they were on the Ashland initially, and so we will need to talk to them to ask them a few more questions. But no, it’s not an investigation." Molle says the ultimate goal of the debriefing is gathering information to improve future search and rescue operations. Last year the U.S. Coast Guard responded to more than 16,000 search and rescue cases, saving more than 5,000 lives.